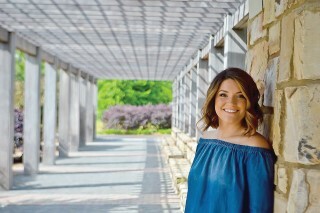 It’s not every day you get nominated and win a spot as a top influencer in your city, but that’s exactly what happened to Lesley Mitchell when she won a spot on Elevate Lifestyle’s Charlotte’s 30 Under 30. Townsquare Interactive caught up with her to find out what it takes to be on Charlotte’s 30 Under 30, and how you could get nominated and win. Interviewer (I): Lesley, we know it’s tough for you to brag and talk about yourself, but how did you get nominated and chosen for Elevate Lifestyle’s Charlotte 30 Under 30? I: That’s awesome! Clearly you work hard at what you do, but you also set a great example for those around you. What does it mean to you to be listed as one of Charlotte’s 30 Under 30? I: Of course, as a young professional it’s important to connect with people who are looking to do great things. What would be your advice to those who want to be nominated or chosen for the Elevate Lifestyle’s Charlotte 30 Under 30? I: Great advice! Sometimes we think our circumstances need to change, but often times it’s us. That leads us into our next question for you! How can young people influence their communities? I: Your friends and co-workers have seen you embody that philosophy every day, and it’s something all young professionals should strive for. Finally, the question of all questions: What does success mean to you and how did you define it for yourself? I: Thank you, Lesley for meeting with us! We look forward to seeing more of you as you continue to grow! Originally from Maine, Lesley moved to Charlotte five years ago and loved it so much she never looked back. Lesley found that learning from mentors, reading books written by successful leaders that she aspires to be like, and choosing to listen to audio books, instead of repetitive music, have helped tailor her education in ways that school (college) could not. Lesley started her career at Townsquare Interactive in February 2014. Since then she has proven she is worth her salt with 459 deals sold for a total of $160,935 in monthly revenue. She was nominated for Townsquare’s Employee of the Month in July 2016. Lesley loves community service and participates in Elevation Church’s Love Week every year. She is active in the community and has worked with organizations like One7 and Love Life Charlotte. To learn more about opportunities at Townsquare Interactive or to apply, visit our Career listings.